It has literally taken me ages to get around to writing a review about the original TWSBI Diamond 580, and when I finally had the pictures ready, written out the complete review,... I ended up buying the Diamond 580 AL version. I thought it would be stupid to do two separate reviews about almost the exact same pen, so I decided to skip the original review, and move straight on to doing a review about my newest purchase instead. In the end, the review of the 580 Al also took me quite a while to finish, but at least now, after another few months, I think I'm finally ready. Phew! I'm really glad that I finally get to putting this review about the TWSBI Diamond 580 AL up, it's a pen that deserves some attention. Everybody knows TWSBI I assume, I probably don't have much to say about the brand that would be new to any of you. 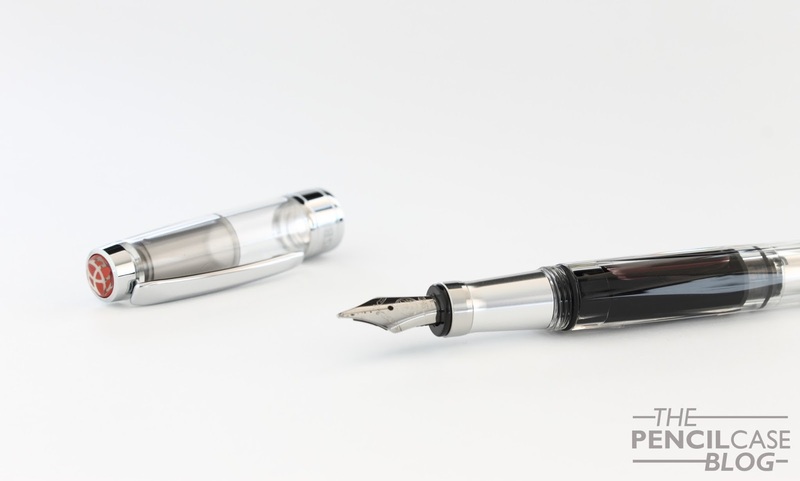 In short, this fairly new Taiwanese brand took the fountain pen industry by storm, and made name with their pretty, and affordable piston-filled fountain pens. But they also had to deal with one very annoying issue: cracking parts. So from the beginning of the brand 'till now, TWSBI has been busy working on improving the quality and durability of their pens. 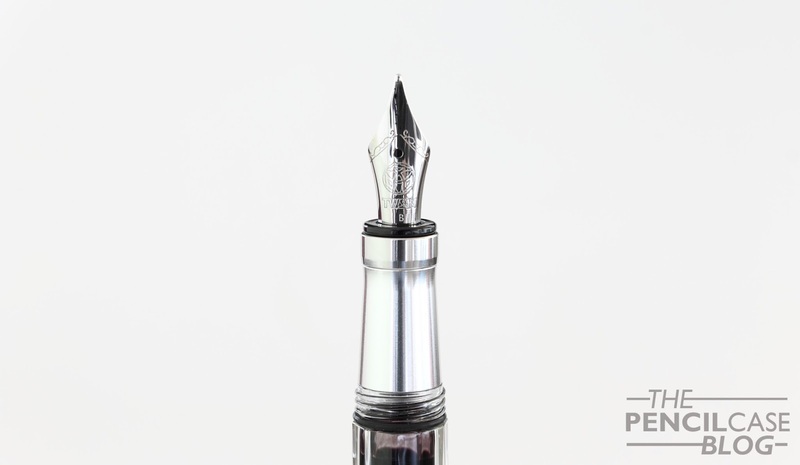 Their main line of pens, the Diamond 5xx, has seen a bunch of reinterpretations (530, 540, and now the 580). The latest version, the Diamond 580, seems to be a pretty sturdy one compared to the earlier models, yet there's always room for more improvement. So that's where the 580AL comes in. It's actually almost identical to the regular 580, except for the addition of two aluminium parts (one inside, and one on the outside of the pen). The 580AL is more than just another reinforced version of the same pen though. The aluminium parts can also be considered a design choice. I was immediately drawn to the AL version when I first saw it. 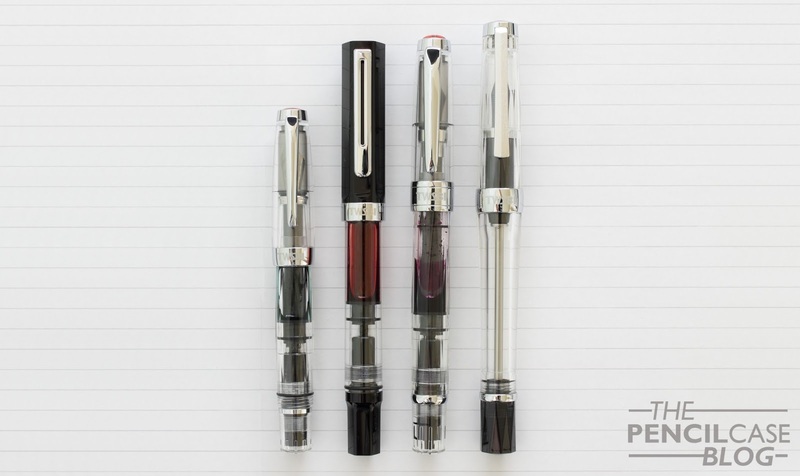 It's amazing that TWSBI managed to create these parts at such a small premium over the original model, and it adds some rugged character to the demonstrator design. I opted for the raw aluminium model, but there's also a special edition that is released every six months or so. These special editions feature annodised aluminium parts instead, and are made for a limited time. I decided to stick with the raw parts mainly because I think it looks clean combined with the rest of the silver-colored trims on the pen. Apart from the benefits in the looks department, the use of metal parts also brings the added bonus of an overall more sturdy construction. Especially the metal section is a huge relief, as I've had my fair share of cracked TWSBI sections on the Diamond Mini. A lot of people get turned off when they see a metal section, but this one is actually an improvement over the plastic one. The machined aluminium seems to offer slightly better grip than the slick plastic grip on the regular 580. The second aluminium part is the piston mechanism. Since this is a rather complicated part to machine, I was pretty surprised to see that TWSBI made the complete setup, including the piston rod, out of aluminium. The fact that they get this done on such a low price point is pretty amazing. It's still a very smooth and non-sticky piston to operate, and I don't know if the metal construction will actually make a difference on the long run, but at least it adds some bling! So far nothing but positive improvements, and it doesn't stop there! What the metal parts also change, is the weight and balance of the pen. 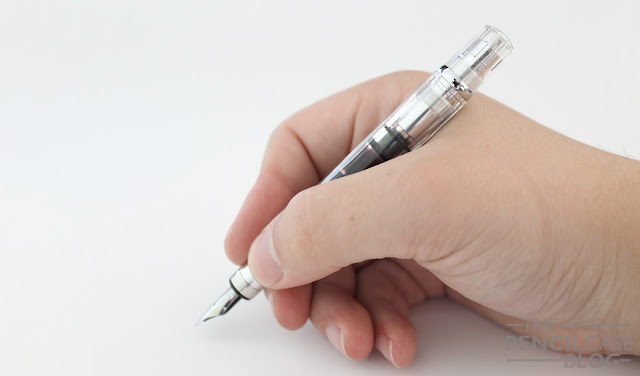 It isn't a huge difference, but the added heft makes it feel a bit more solid, and because the aluminium parts are both on the front and back of the pen, it doesn' throw off the balance by any means. I'm really quite positive about the 580AL. But I also have one particular concern. Because the aluminium parts are supposed to be quite a bit stronger than the rest of the plastic parts, I suppose overtightening of the section, or continous operating of the piston could put more mechanical stress on the plastic barrel, and result in parts breaking. This is only a theory though, and I'm pretty sure normal use won't cause any issues. At least I haven't had any issues so far, but I'd suggest being extra careful when taking the pen apart and putting it back together. The 580 is a pretty sizeable pen, at 14.2 cm (5.6 Inches) when closed. It's about the same dimensions -or even a bit bigger- as the Pelikan Souverän M8xx. It's a very comfortable pen in use, and I suppose it's suitable for most hands. The comfortable size is a good thing, because you won't be able to get some extra length out of it by posting the cap. Or well... actually you could, but it doesn't post deep on the pen, so it would make the pen very long and back-heavy. 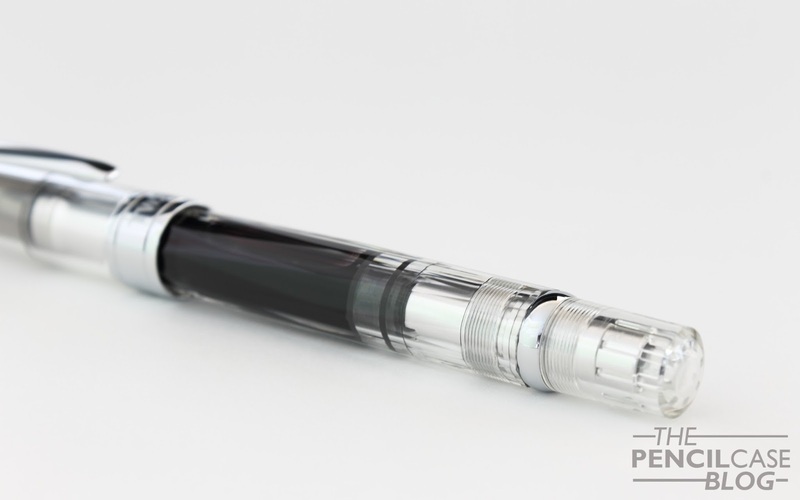 The TWSBI Diamond 580 got very popular in just a couple of years, and for very good reason. 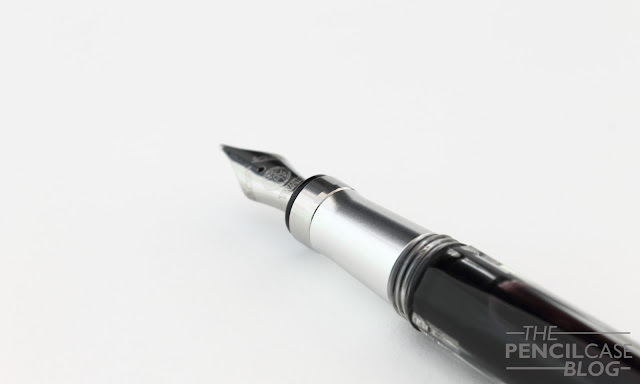 If you want a step up from a Lamy Safari or Pilot Metropolitan, and want to get the coolness and large ink capacity of a piston-filler for under 100$, a TWSBI pen would be pretty much your only option. 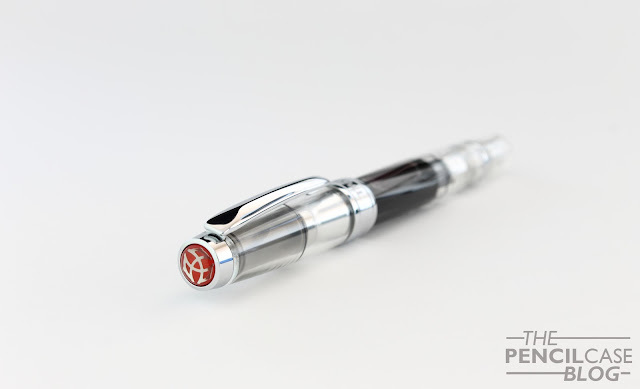 Apart from the cracking issues on previous models (that are luckily promptly dealt with by TWSBI's customer service. 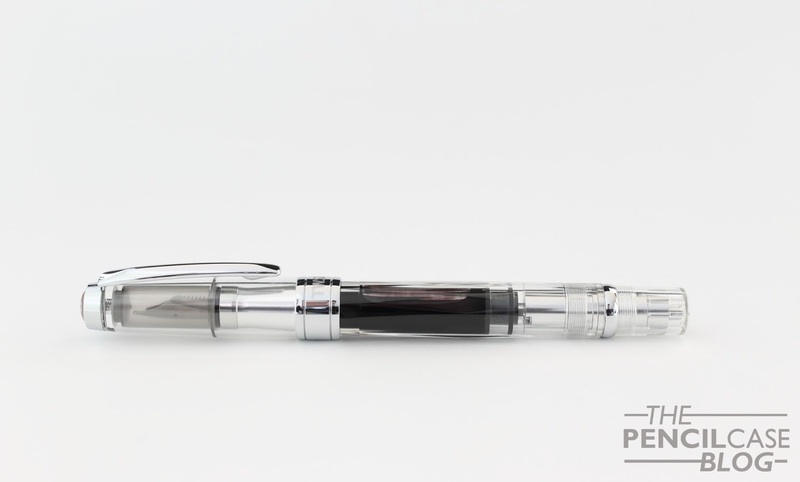 ), TWSBI makes some really neat pens, and the 580AL is one of the finest examples I've used so far! Note: Fontoplumo Supports this blog. I received this product at a discount, so I could write this review. I was in no way influenced in the making of this review, the opinions shared here are completely my own! This review does not contain any affilate links.